The new FS7 II camcorder is designed for long-form shooting and production applications, especially for documentaries and independent filmmaking. Amongst the many enhancements outlined below, the FS7 II can also record in BT2020 colour space, hence making it ideal for today’s 4K broadcast productions. The camcorder’s Electronic Variable ND Filter system, combined with its large sensor, delivers greater exposure control, with the option of preset or variable operation modes. Variable ND mode (clear + 2~7 stop range, in seamless transition, steps up to 1/128) allows the user to vary the density of the ND filter during shooting and to transition seamlessly between steps. This also ensures an optimum motion delivery by maintaining desired shutter speed. The FS7 II revisited E-mount (lever lock type) gives users the ability to change lenses by rotating the locking collar rather than the lens itself, which means that in most cases lens support rigs don't need to be removed, saving time during a production. The new E-Mount has been designed for demanding applications in the professional environment and will fit any existing E-mount lenses in the market and other mount lenses with an adapter. The new FS7II camcorder also supports Sony α Mount System, which includes more than 70 lenses. Slow down time with HFR shooting to reveal the beauty and drama of everyday motion. That’s why the FS7 II provides continuous recording at Full HD at frame rates of up to 180 fps. When you play back at 23.98p, you’ll enjoy extraordinary Super Slow Motion of up to 7.5x. Compared to burst mode, the continuous recording of the FS7 II reduces mistimed shots and extra takes. The camera also provides Slow & Quick motion from 1 fps to 180 fps, in 1 fps increments. This enables time-lapse effects to make the clouds race by or flowers bloom before your eyes. And for even higher frame rates, you can attach the XDCA-FS7 extension unit and connect an outboard recorder, both sold separately, for 2K RAW recording at up to 240 fps. This creates 10x Super Slow Motion when played at 23.98p. To preserve the maximum in colour, contrast and resolution, the XDCA-FS7 enables RAW recording when connected to outboard recorders, sold separately. The XDCA-FS7 supports the vivid colour of 12-bit linear RAW at either 4K or 2K resolution. 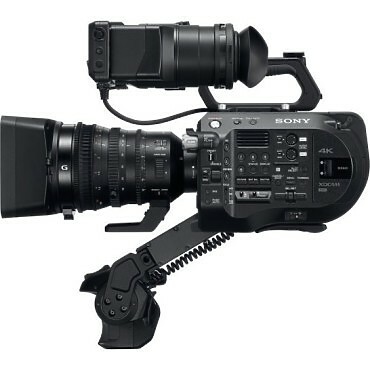 A single BNC cable connects the XDCA-FS7 to compatible RAW recorders including Sony’s HXR-IFR5/AXS-R5 combination and the Convergent Design® Odyssey 7Q+ equipped with the Sony FS RAW option. In addition, the Atomos® Shogun Inferno and Shogun Flame support Apple ProRes and CDNG recording from the XDCA-FS7 output. Even when you record outboard RAW, you can still record time code-synchronized Full HD onboard, a convenient proxy for offline editing. 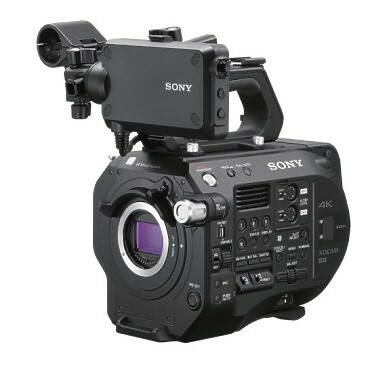 Sony understands that some workflows are committed to the Apple ProRes 422 codec. That’s why the XDCA-FS7 supports Apple ProRes 422 and Apple ProRes 422 HQ – 1920 x 1080 recording to an XQD™ card in the camera. The XDCA-FS7 also provides Genlock and Timecode In/Out for multi-camera shoots. Hire the Sony FS7 MKii w/ EF Metabones from Procam. Best service and rental rates for the Sony FS7 MKii w/ EF Metabones and all cameras, lenses, sound, lighting and grip.